Oh, oh! 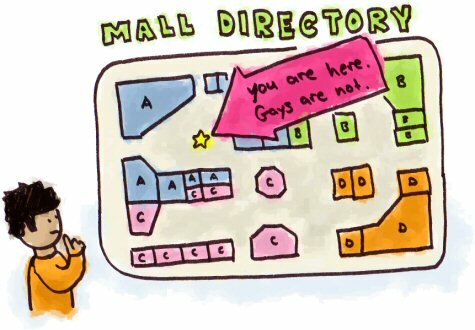 I was waiting for the day that someone would dare keep a gay man away from his mall! You heard right; a Gay Pride Group is speaking with the Ontario Human Rights commission after the Downtown Chatham Centre Mall shut down their booth, which was to be part of a larger mall-approved AIDS support event. Mall officials were quick to dismiss discrimination charges, claiming that ousting the gays was part of a larger mall policy to not allow political or religious groups (neither of which I’m certain describes Gay Pride—but, whatever). 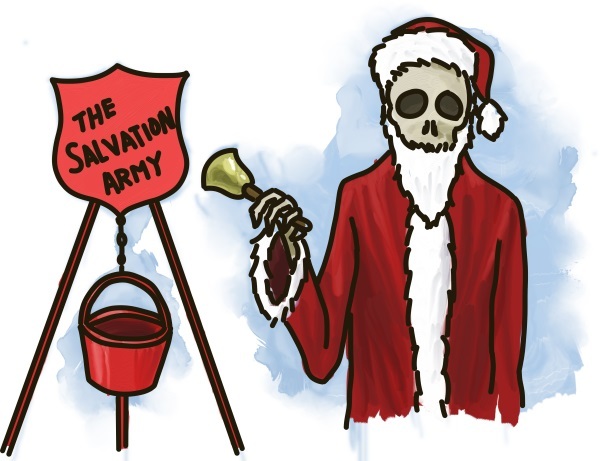 Strangely, though, it has been noted that the mall regularly allows the Christian group Salvation Army to fundraise there—often accompanied by municipal politicians. Alan Durston, Mall manager, had an… uh, interesting explanation. We’ll allow some groups to come in to fundraise, but they don’t preach their religious beliefs to anybody else, which is the difference between gay pride or the Mormons or whichever other group. Uh, oh—hold on. I injured my eye while rolling it just now… I should tend to that… Well, until Wednesday folks!